The area we know today as South Beach has a fascinating history, dating from its establishment in 1661 as Oude Dorp, or Old Village, a small Dutch colony at the foot of Ocean Avenue, to its development toward the end of the 19th century as a summer retreat with bustling hotels and amenities including bathing pavilions, beer gardens, casinos, a skating rink and shooting gallery. 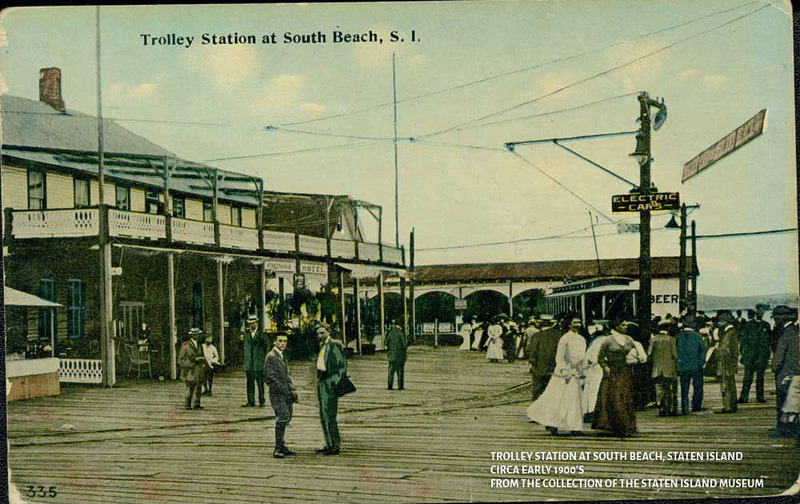 In fact, South Beach was once known as “The Riviera of New York City.” In the early part of the 20th century, it was home to one of the most famous amusement parks on the East Coast. 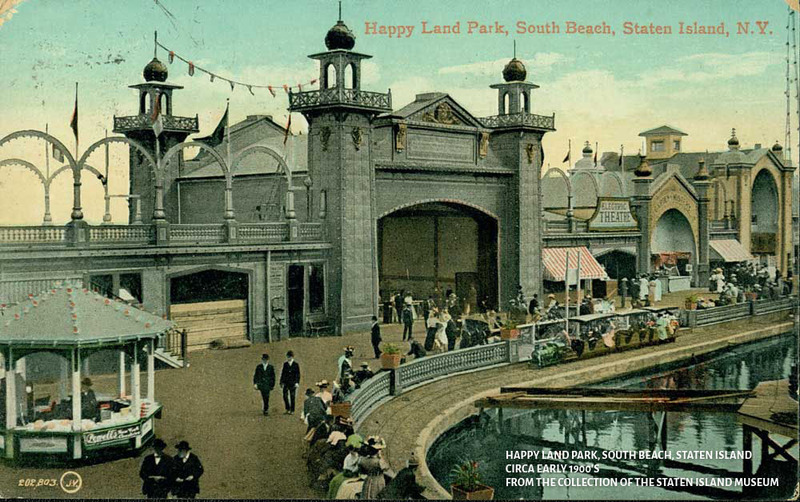 The Happyland Amusement Park, which opened in 1906 on 15 acres of shorefront property, boasted a ferris wheel and roller coaster, arcade games, theaters and eateries to rival the offerings in Brooklyn’s Coney Island. And no wonder. 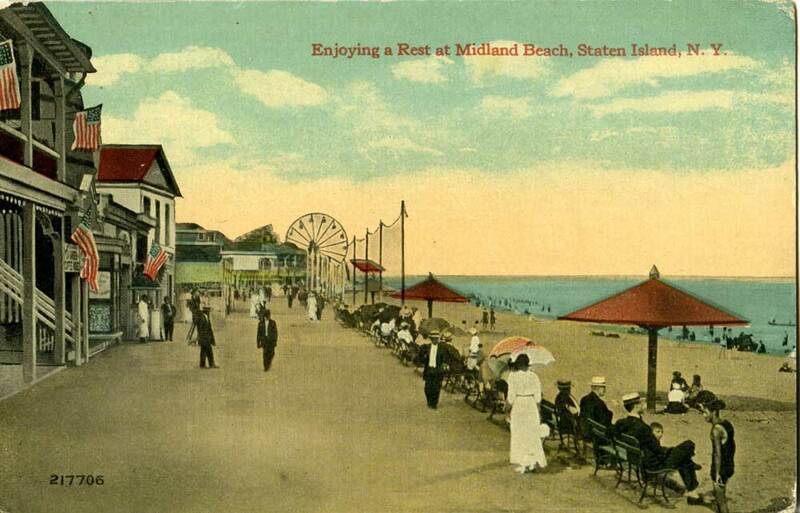 Beyond the beach and the breeze there was Happyland, which drew 30,000 visitors on opening day. 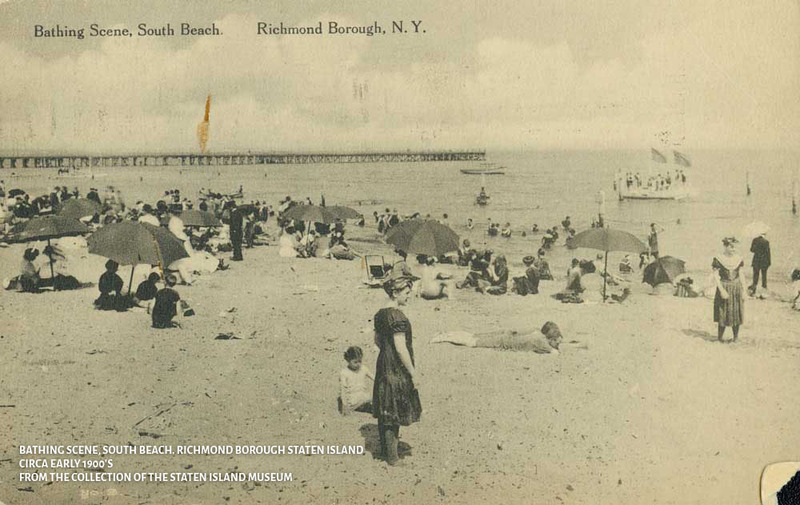 This advertisement from 1908 provides an idea of what a visitor to Happyland might enjoy of a summer day: "A delightful ferry sail down the bay and trolley ride through Staten Island's verdant hills will bring you to HAPPYLAND, on South Beach, looking out toward the ocean. The new combination ticket feature provides, for a quarter, admission to the park, vaudeville, dancing pavilions, Bill's Ladder, Paris by Night, Foolish House, Georgia Minstrels, Dib Dab Slide, Electric Slide, Hippodrome, Circle Swing, Fat Saidy and the Human Roulette Wheel. Alas, The Riviera of New York City, with its bustling boardwalk and popular amusements eventually fell victim to fires, water pollution and the Great Depression of 1929. The City acquired the beachfront property in 1935 and the once illustrious hotels and now-deteriorating casinos and amusements were torn down. Four years later, a 2.5-mile boardwalk was built as part of President Franklin Delano Roosevelt’s Works Progress Administration and named in FDR’s honor. The boardwalk that still bears his name stretches from Fort Wadsworth and the Verrazano-Narrows Bridge to Miller Field. A great many of the summer bungalows that formed the heart of this community are long gone, some due to urban renewal and gentrification, others to the natural rhythm of changing times. Most recently, the South Beach community suffered the ravages of Hurricane Sandy, which devastated many Staten Island neighborhoods in October of 2012. But the area has bounced back and there are visitors aplenty to the New York City Parks and Recreation-maintained ballfields, handball, shuffleboard and bocce courts and playgrounds along what once was known as Seaside Boulevard and today bears the name of Father Vincent Capodanno, a local priest who was killed ministering to a dying soldier during the Vietnam War.